The next generation of covert security cameras has arrived in the Live View Secure Shot Humidifier. Not only is this a Top model humidier (CLICK HERE to see Amazon Reviews), all of the functions work keeps guard of your home or business. 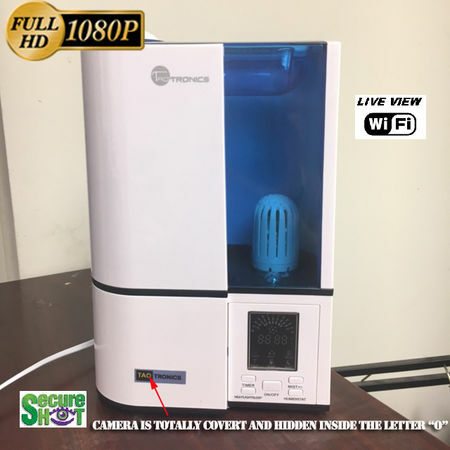 Introducing the Secure Shot HD-Live View Humidifier which is a self contained, high definition, self recording system with Wi-Fi. No need for outdated receivers or extra connections to your PC or router. Live encrypted 1080P high definition video is transmitted to your wireless router enabling live streaming on demand from any authorized PC, Iphone, Ipad or android device. (free app download) Plug and Play P2P automatic connection to your wireless router is simple and quick, no PC expert required! Video is recorded on a hidden SD card contained within the unit. To view from your mobile device, just select the app, and live viewing appears within seconds. You can even record snapshots directly to your phone and select earlier recordings from the units internal SD card to instantly view. 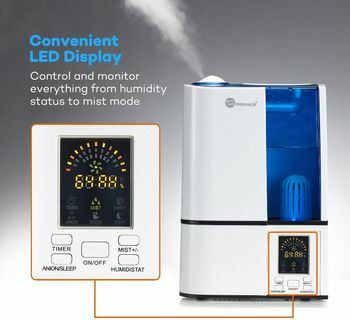 It's the TaoTronics Cool Mist Humidifier with LED Display, Ultrasonic Air Humidifiers with No Noise, 4L Large Capacity, Mist Level Control, and Timer Setting. 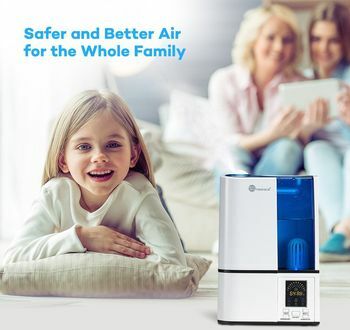 The TaoTronics TT-AH001 Home Humidifier is an ultrasonic humidifier that emits water vapor to moisten dry air. It uses a microporous ceramic cartridge that filters water from micro-organisms, calcium and magnesium ions. The humidity level can easily be set to the ideal setting for your room. You can also adjust the mist modes and use the 360 degree nozzle to adjust the mist angle so it's right for you. 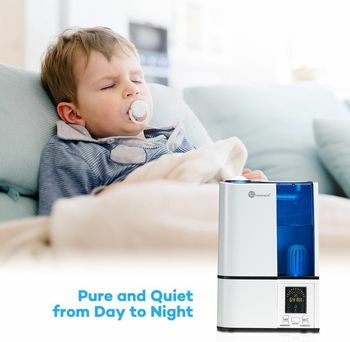 As an ultrasonic humidifier, it's incredibly quiet and doesn't make a sound, which is perfect to use when going to sleep. Over 1 gallon capacity and 15 hour working time on a full tank will last most of the day and well into the night. The LED display provides information including the humidity level and other modes you are using. Sleep mode turns off the LED at night so it doesn't disturb your sleep. Two handles on the top and the bottom of the unit make it convenient to replenish the water. Finally the timer sets the humidity for a set period before switching the humidifier off.